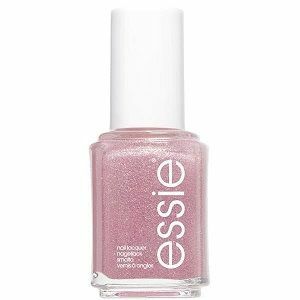 Essie Nail Polish, Birthday Girl, 1019, .46 fl. oz. Glitter topper with strong gold glitter flakes in a sheer, slightly pink tinted base.